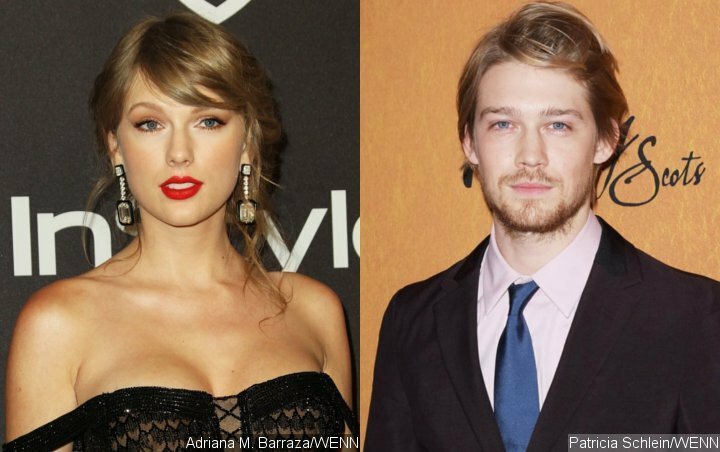 AceShowbiz –Taylor Swift was spotted on a cosy pub date with boyfriend Joe Alwyn. The notoriously private couple has been dating for more than two years, and has been enjoying keeping their romance low-key as they spend time together in England. Taylor is currently filming the movie adaptation of stage musical “Cats” in London, alongside famous faces including Ian McKellen, Idris Elba and Rebel Wilson. So, the popstar has been able to enjoy dates with the British actor as she takes a break from filming. The “Shake It Off” hitmaker, 29, and Joe, 27, were photographed braving the miserable rainy weather in Hampstead after a few hours inside The Spaniards Inn. The couple looked smitten as they cosied up together while making their way to their car, and the “Bad Blood” singer wrapped up warm with a red scarf over her head, while wearing a black longline jacket, grey trousers and heavy-duty yellow boots. Joe looked smart in a dark tweed coat, with a grey jumper and black jeans. Taylor secretly supported her boyfriend at the London premiere of Joe’s new movie “Mary Queen of Scots” back in December, and was at Joe’s side at the Golden Globe awards last month.